Law Office provides legal services on the entire territory of Bosnia and Herzegovina, before all courts and administrative bodies. 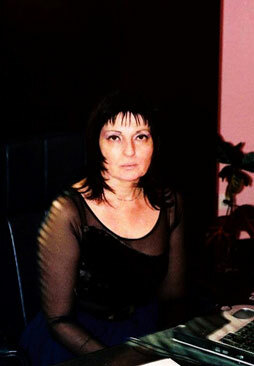 Employed by “Telecom BH” Tuzla – Manager of Legal Department from 1980 to 1993. Employed by GIK “Tehnograd” Tuzla from 1977 to 1980. - The Embassy of the Federal Republic of Germany, the U.S. Embassy, the British Embassy and the Embassy of Spain, Embassy of Italy, also recommend us to their citizens and the companies in the case of indicating the need for the provision of professional legal assistance to Bosnia and Herzegovina. * Knowledge of the English language * Competence in the work on the computer. * Member of: Federal Bar Association, International Law Office, Association of European Lawyers (AEA), Anwalt Deutschland, Experten Branchenbuch Deutschland, International Criminal Defense Counsel (ICDC), LEXADIN, Hieros Gamos (HG), Law Fuel, Law Guru, Law Net, Legal Force, Law Mirror, European Lawyers. 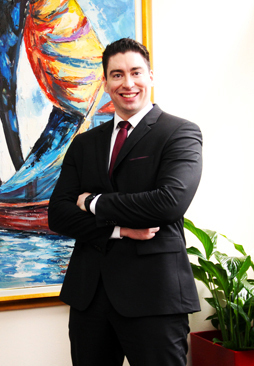 In addition to university degree and continuous training, he possesses excellent communication skills and the ability to carefully listen to clients’ needs in order to find the most adequate solution with constant dedication and focus on specific legal situations. Is currently attending postgraduate studies at the Department of Civil Law. 2009-2013 Law Office – Lawyers intern. Authorized intermediary between marriage partners before initiating proceedings for divorce. Bar examination passed in 2013, Sarajevo, Bosnia and Herzegovina. Faculty of Law, University of Sarajevo completed in 2009. Double champion of Bosnia and Herzegovina in IT. He won the gold Eureka for innovation. Grammar School Mesa Selimovic in Tuzla, Bosnia and Herzegovina. * Member of: Federal Bar Association, Association of European Lawyers (AEA), International Law Office (ILO), LEXADIN, Hieros Gamos (HG), Law Fuel, Law Guru, Law Net, International Criminal Defense Counsel (ICDC), Legal Force, Law Mirror, Experten Branchenbuch Deutschland.